Since Daria shared her list of non-tacky Halloween things, including this tooth necklace, I got lost in this Etsy shop called The Rogue + The Wolf. 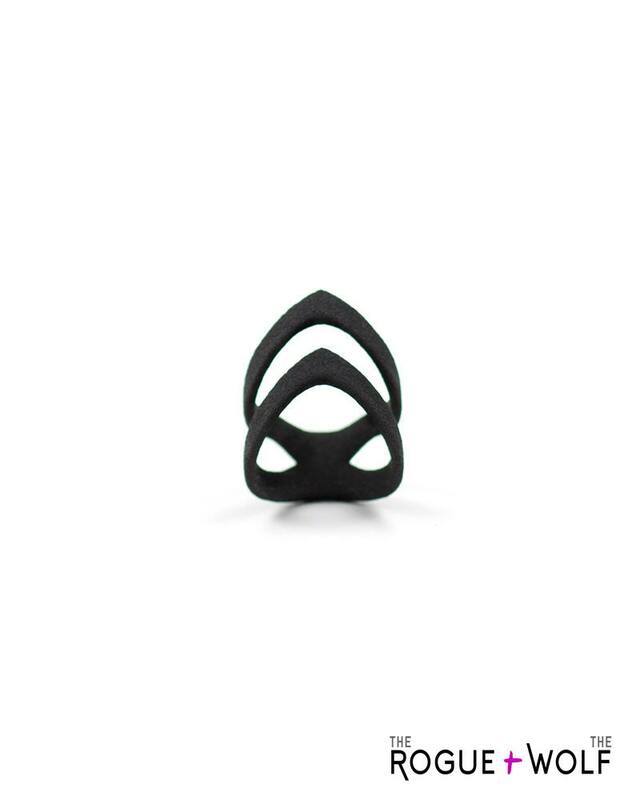 They have some great handmade jewellery, including this knuckle ring, which is 3d printed! I want a 3d printer. Now. I am pretty sure I've shared some clothes from I Love Mona before, but they have a lovely new winter range (boo! It's going to be hot soon). I love this collared shirt, I think I'm phasing back into the idea of having a nice collared shirt since I don't have to anymore ;) It's amazing how reverse psychology works on me, just like that. Ah, photographs of abandoned places, I just love them. This place is really famous, Pripyat in the Ukraine, which was abandoned after the Chernobyl distaster. Click the link below for more amazing places, kindly listed for us to admire on "My Science Academy"
Now that I'm working from home more often, I am aspiring to eating food that looks like this, all the time. So many colours! Motivate. This post on Lovely Indeed about blogging this week addressed a lot of issues I see bloggers talking about, and find myself thinking about. Wondering if your voice is heard above the noise of the internet, or if it even should be? And more. Read the post here.